Last week I finally got around to watching the 1970 documentary Chariots of the Gods. The documentary was based off of the book Chariots of the Gods written by swiss author Erich Von Däniken. Von Däniken presented in his book that it could be possible extraterrestrials visited humans during ancient times and the evidence can be clearly found in artifacts known today. This idea is also the inspiration for the widely popular History channel television show, Ancient Aliens, that is currently on it's 5th season. 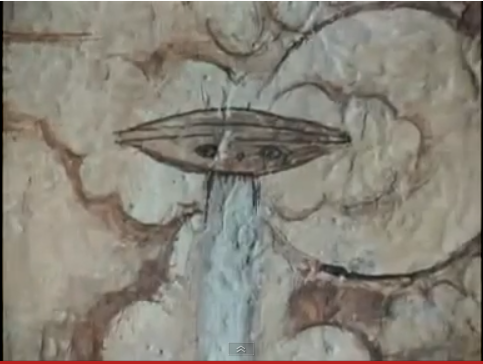 The Ancient Aliens television show was actually what inspired me to start researching more about the UFO sighting I saw years ago. I hadn't thought too much about other life in the universe even after clearly seeing something that I felt was completely out of this world! Years after my sighting I caught the Pumapunku episode of Ancient Aliens and then I thought,"Oh yeah, I saw a UFO once, I should really look in to this." About three years later this website was born. Although I have only been actively researching the possibility of extraterrestrial life since 2009, it has not been hard for me to find loads of convincing information. This information is unfortunately mixed in with loads of not so convincing information. If I hadn't had the UFO experience I did, I imagine it would be harder for me to weed out the sketchy stories. I usually go in to every story being a little skeptical even more so after seeing a UFO myself. I'm constantly comparing the characteristics of what I saw to other reports. As I continue to connect the dots from my UFO sighting, to what I read about the physics of the universe and what I've learned about the idea of ancient aliens; I begin to realize the strong connection with it all. The Chariots of the Gods documentary no doubt will stimulate the open minded and the awesome funky 70s soundtrack is an added bonus. I took two snap shots from the film to share. The pictures above are images from a drawing that apparently was found in rock bedding in, Uzbekistan, by Soviet scholars. There really isn't a clear way of truly knowing if these drawings are completely authentic. The film does mention they were "copied" from the rock. What if when it was copied someone decided to add a little something to make it more interesting? 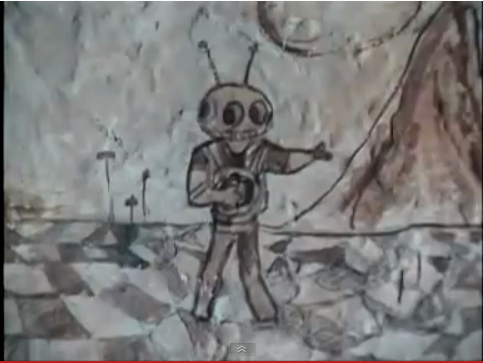 What if the drawing had been added to over the years and is not completely ancient? The film didn't answer these questions, but I would like to believe that this drawing is in fact ancient and extraterrestrial visits are a regular part of the Earth's history.